As a traveler, I often meet people in countries around the world who’re curious about culture in the Middle East and specifically about my city, Dubai. Most people who’ve heard about Dubai are familiar with its impressive urban landscape, complete with the world’s tallest skyscrapers and fancy shopping malls, but know little else about the culture. “Is there any culture in Dubai?”, I’m often asked, and my usual answer is an attempt to explain that of course, just like in every big city in the world, there is culture in Dubai, if you understand culture for what it is; a fluid ever changing, ever evolving concept that is often made rich by various influences over time. As is the case in most great cities of the world, in my opinion, culture in Dubai is a melting pot of the cultures of the many nationalities that live here, making it one of the most cosmopolitan cities in the world. If you were to ask me what one thing stands out to me about local culture in the UAE, I’d say, “Tolerance”, and that is a hugely commendable quality that speaks highly of a people. Dubai is home to a large number of expats and residents belonging to other nationalities. As such, the importance of being aware and knowing how to show respect for local culture cannot be stressed enough. The Holy Month of Ramadan that begins on 18th June this year is one of great religious significance to all Muslims in the country and requires a basic understanding of appropriate behavior. If you’re traveling to Dubai during this period, or have recently arrived in the city, here’s a guide to help you understand and be respectful towards local culture during this time. What is the Holy Month of Ramadan? One of the Five Acts of Worship in Islam, the Holy Month of Ramadan is a month of fasting for Muslims that serves to help in spiritual growth through practicing self-control, discipline, patience and gratitude. Muslims abstain from eating and drinking from sunrise to sunset and practice controlling their desires and bad habits in order to reflect on life’s gifts, appreciate them and find balance. The act of fasting itself is one part of a bigger exercise in improving one’s character through cleansing the body, mind and soul, and learning how to let go of grudges, arrogance, vanity and other poor traits. There is an emphasis on charity, benevolence, compassion and kindness. A small meal called Suhoor is consumed before sunrise. The fast is broken at sunset during Iftar, with family, friends and loved ones and is a festive affair. The month of Ramadan is immediately followed by the grand celebration of Eid-Al-Fitr, during which the entire city is dressed up in all its finery. During Ramadan, life in Dubai can feel slower than usual, as work timings typically change to accommodate fasting hours that can be very difficult, considering the unforgiving summer temperatures in Dubai. Shorter working hours and mid-day breaks are common. For most fasting Muslims, it’s a time of prayer and spending time with family. There are Iftars hosted by most hotels, restaurants and some cultural organizations like the Sheikh Mohammed bin Rashid Center for Cultural Understanding (SMCCU). From all you can eat buffets and set menus offering a variety of cuisines to more traditional ones, these vary in ambience and price. Remember that it is prohibited to eat, drink or smoke in public. So be conscious and thoughtful before you open that bottle of water or chew gum on the street. Find a private space where you can be discreet instead. Food is served during the day in most hotels and some restaurants and cafés in certain areas of the city and these places also cover up windows for discretion. There are designated areas where you are allowed to eat and where food is served so make note of these and be aware of those next to you. The Holy Month is a time of prayer and humility. Dressing conservatively and respectfully is appreciated. It’s advised for both men and women to cover their shoulders and knees in public spaces such as malls and parks. Be patient and considerate of the fact that fasting for an entire month in summer is not easy. Productivity might be low and people may take longer than usual to respond to requests. They may not be as cheery as usual, as energy levels are generally low. It’s important to show your support by being patience and good-natured. It’s polite to greet others, especially those who are fasting with ‘Ramadan Kareem’ or ‘Ramadan Mubarak’. During Ramadan, various charitable community-led initiatives are available that require people to contribute their time or efforts. These are a great way to participate in the spirit of compassion prevalent in the city. It’s common to receive invitations for Iftar from friends, neighbors or colleagues. Be polite and accept when you can. After all, this is a great way to learn about an important local tradition. Don’t blast loud music in your car or at home as music is generally turned off in public spaces during Ramadan. No live music performances or concerts take place during the month. Listening to your music on your phone or iPod using your headset is okay as long as it isn’t audible to anyone else. Alcohol is served in some hotels but only after sunset (when the fast is broken). 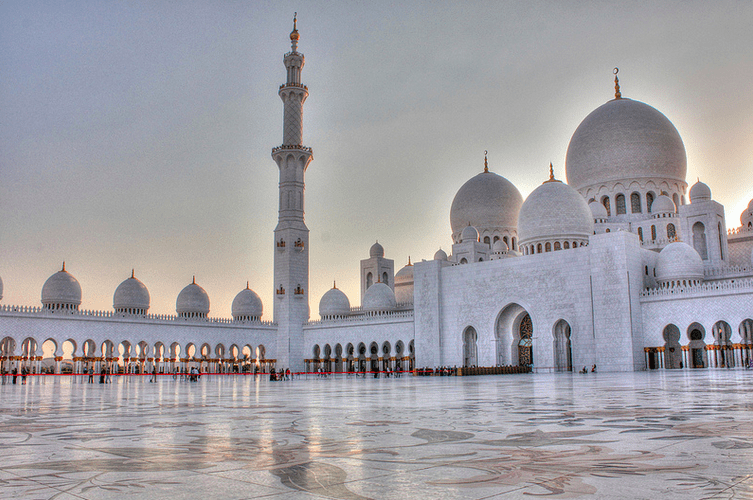 Have you ever visited an Islamic country during the Holy Month of Ramadan? How was your experience and what did you learn about the local culture? If you’re visiting Dubai on a budget, check out my tips for traveling in Dubai on the cheap. For general information to help you plan your trip to the UAE or Dubai in particular, including recommendations for off-the-beaten-path day trips from Dubai, culture in Abu Dhabi, cool hotels, or popular places of interest such as the Dubai Miracle Garden and At The Top Burj Khalifa, check out my UAE Travel Blog.